Absent at time of photo: Emmalee Clark, Charlie Eng, Colbey Goozey, Melissa Bamford, Carson Gross. 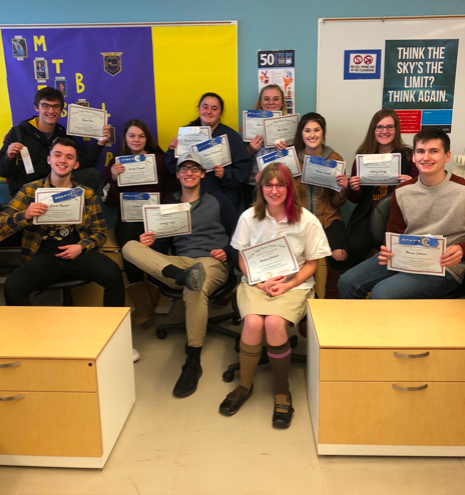 FARMINGTON - Kennebec Valley Business Education League is a Business Education League created for business students to be able compete in different areas against area high schools. Schools in the league include: Mt. Blue/FTC, Skowhegan, and Madison High School. The following are the Mt. Blue results of the first competition of the school year. The KVBEL competitions are lead and organized by advisor Regina Savage.